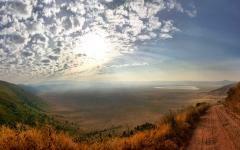 Tanzania is a land of magic and compelling authenticity. It's a place of walking through big cat country and wandering along hypnotic Zanzibar streets. 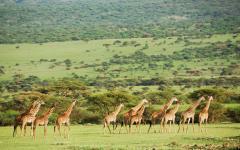 It’s a place of exploring the Serengeti and Ngorongoro before lounging on idyllic beaches. So indulge yourself in one mystical island, four national parks, endless safari adventure, and twelve days that showcase the most mesmerizing sides of Tanzania. When you return from Tanzania most people don't believe your stories. 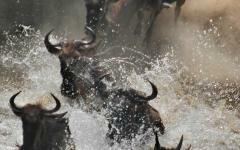 Over a million wildebeest thundering across the Serengeti plains? Mystical Zanzibar streets full of Persian baths, Hindu temples, and Portuguese cathedrals? 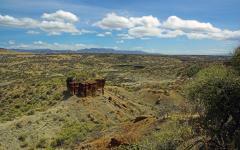 An inactive volcanic crater where lion prides lie down beside your safari truck? Surely not! Sometimes it doesn't even feel real as you're experiencing it, the compelling authenticity of Tanzania often seeming just a little farfetched. But a daily rhythm of intimate moments help keep everything non-fictional; a leopard's solemn stare, baby elephants splashing in the water, white sand squeaking beneath your feet. Tanzania is a mesmerizing country and this unique itinerary is all about showing you its different sides. 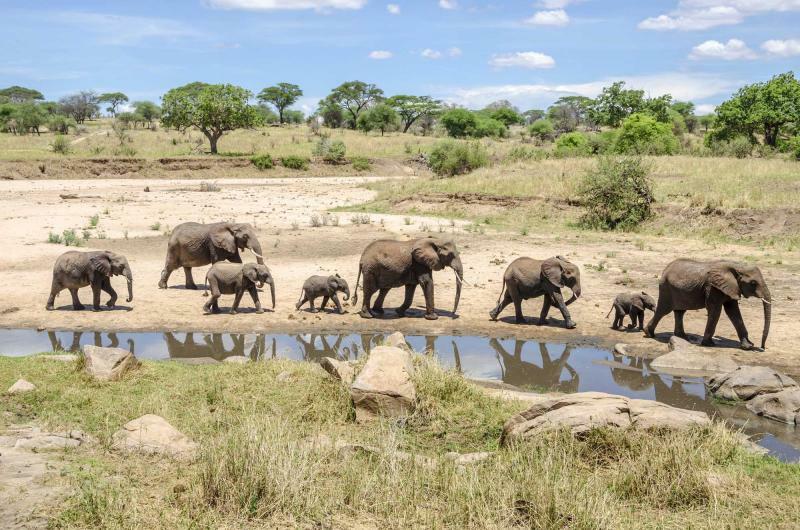 After arriving in Arusha, start your safari adventure in Tarangire, a land of ancient baobab trees and massive elephant herds. 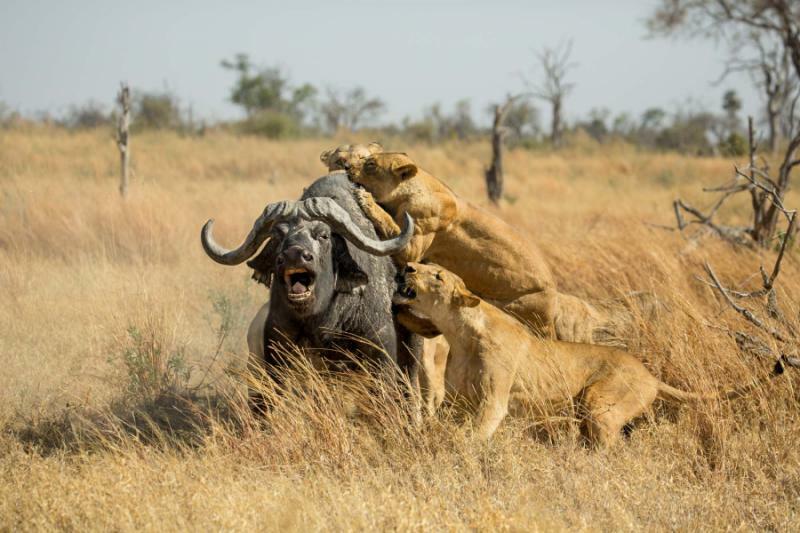 Discover the lions that climb trees, and begin to immerse yourself in a wildlife world that always throws up surprises. 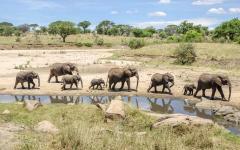 Then the next morning you'll see it all from ground level, a thrilling walking safari getting you up close and personal. 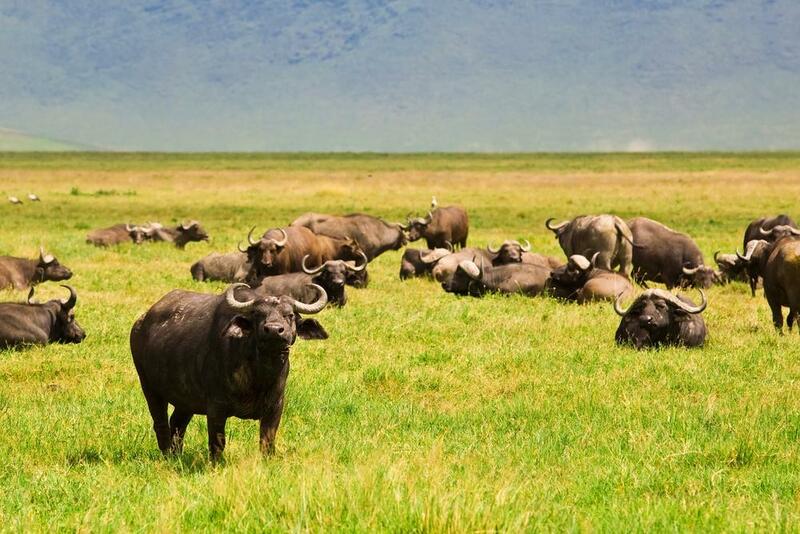 Ngorongoro Crater is a freak of nature, even by Tanzanian standards, and your game drive will reveal six different habitats and the full Big Five. The question is rarely about what you're going to find, it's about which way to look. The Serengeti's endless plains deserve three days, enabling you to explore different areas of the world's most famous park. 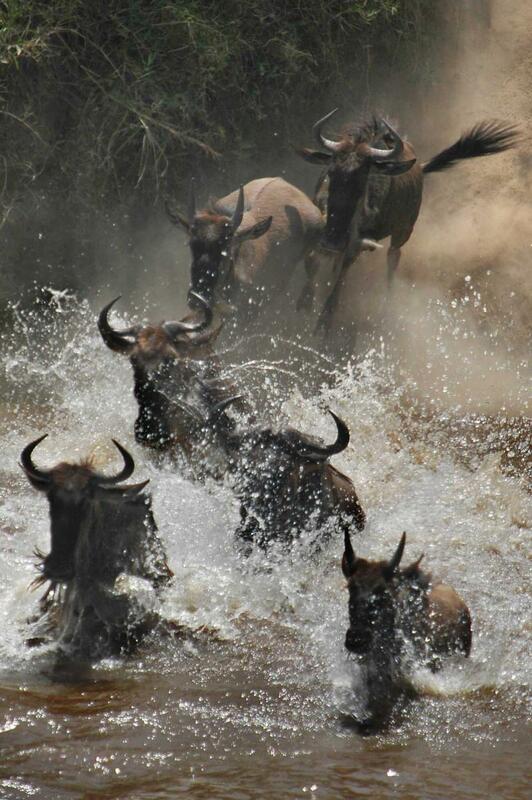 It's home to the Great Migration, an astonishing abundance of big cats, and a surreal portrayal of untamed Africa. Yet for all the millions of hooves that rumble across the grass, and the vast beauty of the land, the Serengeti always delivers wonderfully personal moments that only you witnessed; lionesses stalking a gazelle, the loved up pair of zebras beside your camp, the melancholy steps of an old elephant bull. Lake Manyara completes your safari adventure, the lush forest and flamingo-covered lake providing some new Tanzanian wildlife scenes. 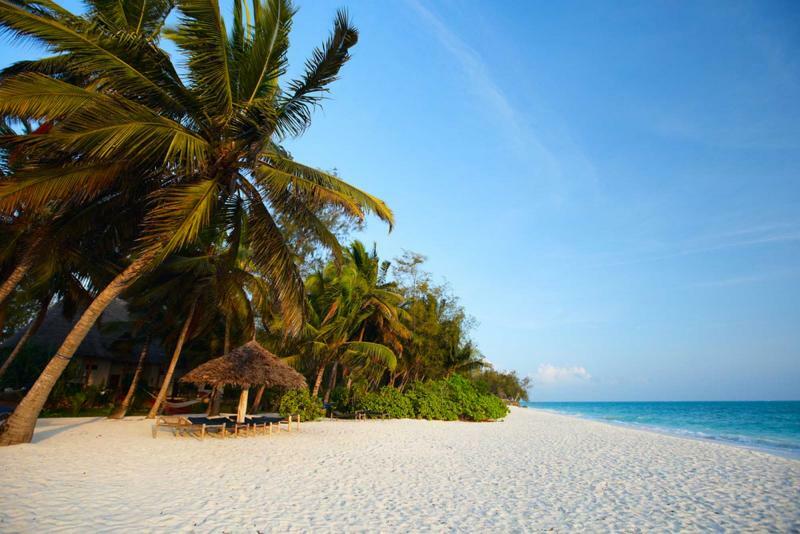 Now it's time for a change of pace, Zanzibar Island providing the perfect combination of beach bliss and mystical charm. Wander the narrow alleyways of Stone Town, relishing the sounds that float across the rooftops, and discovering a place that's harmoniously shaped by umpteen different cultures. Indian Ocean waters and deserted white sand form a soporific loop around Zanzibar, and you've got three days to explore its postcard perfect beaches. Twelve days will roll by but with so much to see and experience it will feel like much longer. And while this itinerary is packed with attractions, Tanzania runs on a relaxed rhythm and allows you to combine adventure with tranquility. 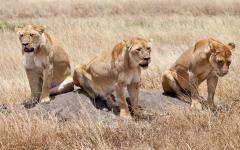 If you are wanting more of a Tanzanian adventure, see the Tanzania safari tour reviews section for ideas and traveler reviews. Your adventure starts in the colorful Tanzanian town of Arusha and the delightful Outpost Lodge. You'll be met at the airport and transferred to the lodge, an idyllic place to spend a leisurely first evening in Africa. Relax in the lush tranquil gardens, enjoy a sumptuous dinner, and meet your guide for a pre-safari briefing. 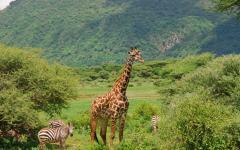 Tarangire's landscape provides an iconic start to your safari adventure. The classic African bush is pierced by the irrefutable Tarangire River and punctuated by swamps and waterholes. Scorched in dry season, lush in wet season, the undulating landscape is covered in wildlife, many of it migrating here in search of a drink. The first things you'll notice are the elephants, giant herds of up to 300 covering the land. They stand beside ancient baobab trees, their shadows lengthening as your long afternoon game drive explores all corners of the park. Colobus monkeys swing through the trees; giraffe stand like statues on the horizon, while oryx and hartebeest are amongst the many antelope species that are always on the lookout for predators. Life in Tarangire revolves around water, so the wonderfully intimate Tarangire River Camp couldn't be in a better position. It's perched over the river, so sit back, enjoy a sundowner, and watch all the game from the verandah. A Maasai warrior accompanies you from your luxury tent to the main part of the camp, and most nights bring the sound of lions roaring or elephants rustling in the nearby trees. These Tarangire lions have a special talent – tree climbing. You'll find them hidden on broad branches, carefully surveying their kingdom, a swinging tail revealing their location. Up in the tree the lions look cute, cuddly almost, but their penetrating eyes indicate a fearsome power. Through the night you will have heard the sounds of the wild, perforating through the tent and hinting at what's been lurking outside. This morning you'll follow the footprints, going on a thrilling walking safari that's exclusive to Tarangire River Camp. Spot zebra herds grazing just meters away, follow the giant tracks of elephant bulls, and discover just how tall a giraffe really is. After a hearty breakfast you'll leave this land of baobab trees behind, driving to the Ngorongoro Conservation Area, before descending the steep crater slopes and entering Tanzania's most remarkable landscape. Ngorongoro Crater feels like a mythical world, the sheer abundance of habitats and wildlife unrivaled by any place else on the planet. Lions are out hunting on the short grass plains, approaching a herd of zebra with slow deliberate movements. 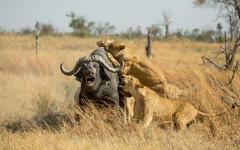 Other lion prides aren't hungry. They lounge in the shade, majestic black manes flowing on the breeze, ferocious teeth revealed with a lazy yawn. A hyena scurries past, before a giant elephant bull plods its way into the forest. Turn around quickly and a herd of buffalo stand and stare, their curled horns hinting at why they're the most dangerous of the famed African Big Five. All this and you've only been in the crater for 30 minutes. Head to the lake and find hippo pods frolicking in the water and flamingos covering the shoreline. Cross onto the savannah and experience some of the world's few remaining Black rhino, imperial horns out on display, gallant frames demonstrating both power and elegance. Meander into the forest and spot hartebeest resting amongst the trees. Then explore the swamps and see which mammals are fearfully taking a drink. Ngorongoro is African wildlife in a nutshell; the full Big Five and a marvelous supporting cast are all viewable in just a few hours. The question isn't what you'll find. It's which way to look. 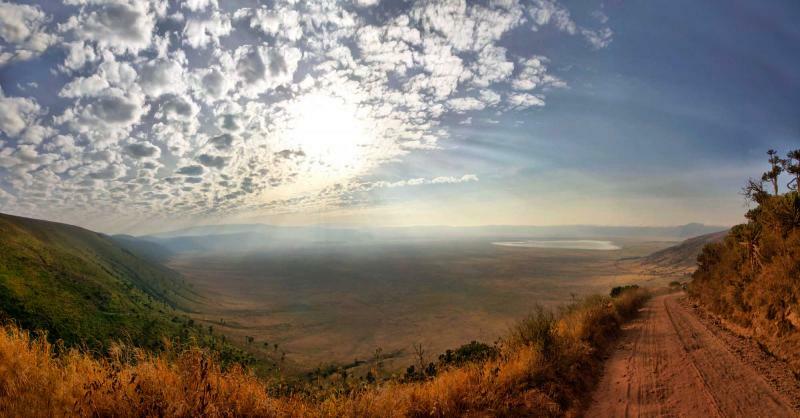 Ascend from this inactive volcanic caldera and enjoy a tranquil evening at the luxurious Ngorongoro Sopa Lodge, perched on the crater rim, and gazing down on this remarkable world. 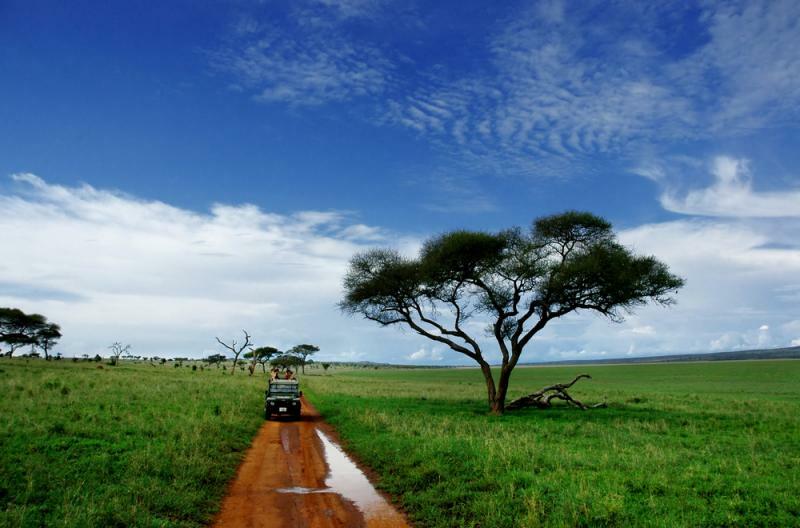 The Serengeti's seemingly boundless plains provide a stage for nature's hypnotic spell to unfold. This is one of the world's most famous parks, but the Serengeti is indelibly marked by space and freedom. It's going to be all yours for three days. 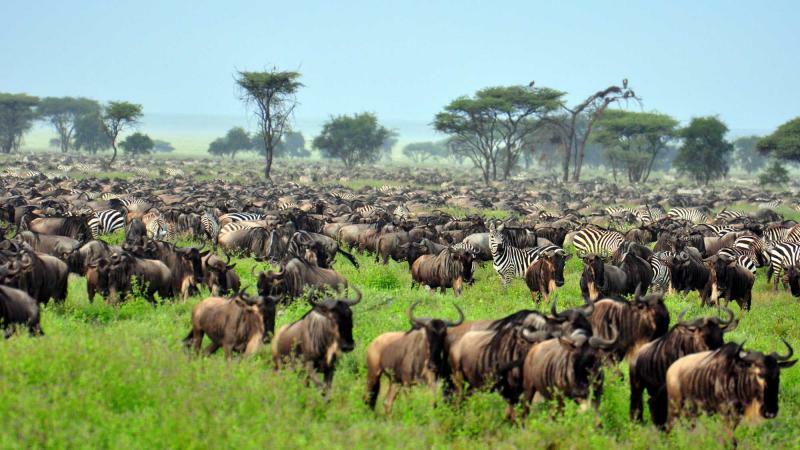 Animals move with the rains, over two million mammals forming the Great Migration and constantly searching for lush grazing land. They cross crocodile infested rivers and maraud through big cat country, kicking up dust as the annual circle of life continues. Gaze from a distance and the herds look like incongruous black blobs. But get up and close and it's easy to pick out individuals; bearded wildebeest guarding their young, hoping to keep them away from approaching lions; zebras dancing across the grass, indelible stripes moving and settling like pieces of a giant jigsaw puzzle. Appreciating the Serengeti's beauty takes a few days. Many people are initially overawed by the size and scale. Where does this place end? 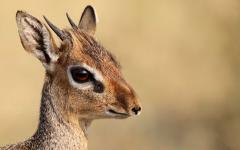 Is there anywhere without Thompson's gazelle? Leopards are found hiding in the grass, stalking wildebeest with solemn footsteps. Cheetahs stand alert on rocky outcrops, scouring the land for an easy meal, exquisite fur glimmering beneath the sun. With this unique itinerary you'll be exploring different areas of the park and experiencing the subtle changes that mark the land. 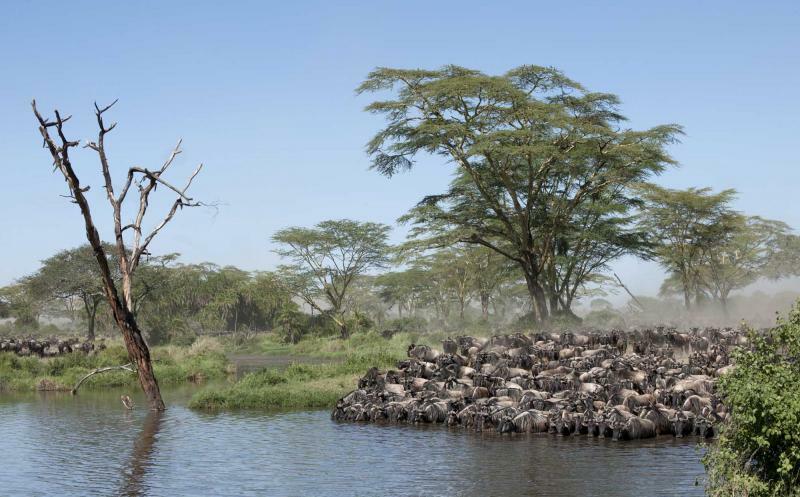 Valleys begin to appear in the central region and the infamous Mara River rolls across the north, each wildebeest having to make a daring crossing in order to continue their migration. Every expedition is a game drive, an endearing adventure past the herds and alongside the predators. In the local Swahili language “safari” translates to “journey,” and this meaning is emblematic of all your time in the Serengeti. Even at the camp the wildlife never stops. Isolated and exclusive, the Seronera Camps are engrossed in the Serengeti's unforgettable world. Epic vistas surround the camp; the endless plains are dotted with elephant silhouettes as the sun burns red and sets on the horizon. Hyenas scurry through and search for an easy meal, while impala and zebra greet guests as they walk to their luxury tent. Maasai warriors keep guard just in case anything tries to gets too close. 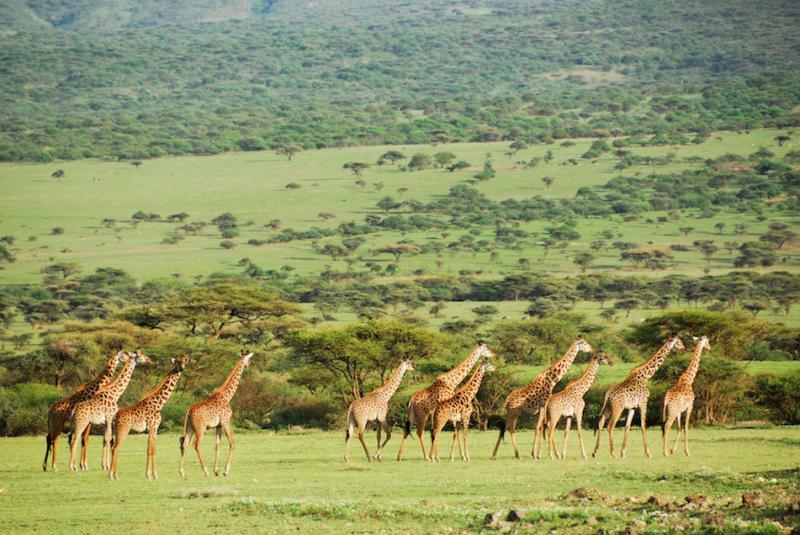 This itinerary uses a local Maasai-owned safari operator, meaning that part of the trip fees benefit local community projects and that indigenous residents of Kenya are supported. 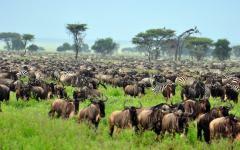 The Serengeti is famous for its wildebeest and big cats. But there's much more to discover in this bountiful land. A boisterous hippo wades into the swamp, grunting and huffing as he bullies his way towards the best bathing spot. Another youngster starts a fight and the two briefly square up. But this commotion has alerted the alpha male, and a humongous hippo steams into the water, the pod obsequiously obeying his implied orders. On a secluded rock a lion seems to sit alone. But look closer and a handful of lion cubs are sleeping beneath her prowling gaze. Then there are the less known animals, rarely seen species that dance through the grass; diminutive dik dik, fringe-eared oryx, and even the slumbering movements of the Leopard tortoise. While in the Serengeti it's also possible to take a hot air balloon safari, an optional extra that helps showcase the sheer scale of this landscape. As you leave the Serengeti the wildlife keeps coming. As you head out of the park you're still on a game drive, stopping and admiring the wonders. Gradually the grass plains become rolling hills and the game gets sparser. Don't put the camera away though. Outside the park boundaries it's not uncommon to see a lost elephant or a wandering herd of gazelle and zebra. 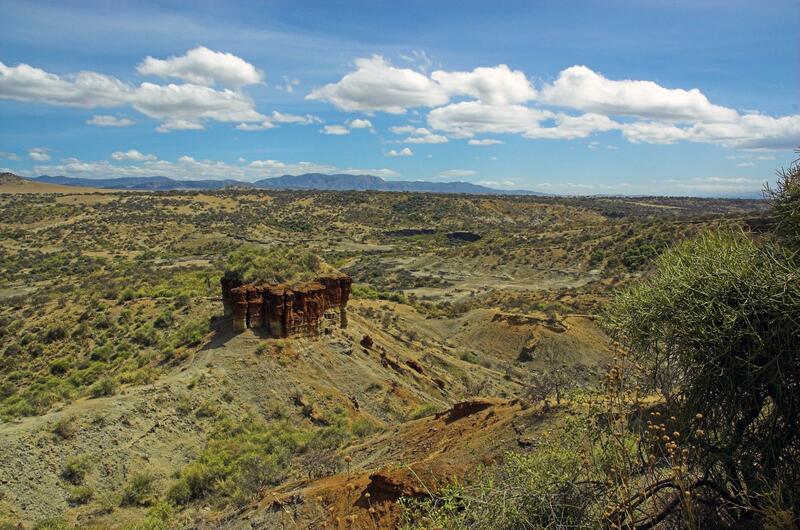 You're heading through the crater highlands to Olduvai Gorge, and you're heading back in time 3.5 million years. The fossils and tools discovered in this gorge indicate that this area was instrumental in the birth of mankind as we know it. The views inspire, the artifacts provoke discussion and reflection, and a walk through the site is a touching journey into history. After all the action of the last few days it's good to have a quiet night before the safari adventure continues. You'll spend the night at the elegant Bougainvillea Safari Lodge, lounging in the gardens and enjoying a huge private bungalow. 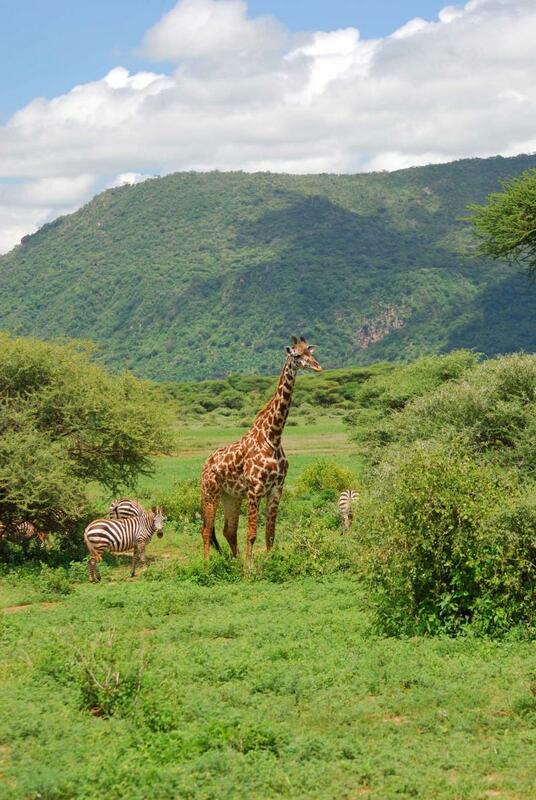 Lake Manyara National Park is always green, the lush forest and verdant floodplains providing shocks of color whatever the season. It attracts birds, hundreds of different species fluttering through the trees and singing raucous concertos. Hornbills are the loudest, covering the entrance and bellowing from the treetops. Kori bustard are the largest, soaring through the air with a monumental nine-foot wingspan. 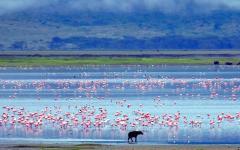 It's an ornithologist's paradise, but that's not the only reason for visiting Lake Manyara. 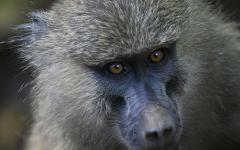 You'll weave and wind through the trees, passing baboon troops with humorous antics. Keep your eye on the branches, the lions also like to climb trees here, and it’s often just a single branch that separates safari truck from predator. This is your last day on safari and by now you'll probably have seen all of your favorites. Perhaps it’s the graceful giraffes that silently cross the lake's open plains. Maybe it’s the elusive leopards, the hardest to find of the Big Five, yet living in abundance in the acacia woodlands. Some people are enthralled by hippos; others can't decide if those that wade into the lake are cumbersome or cute. 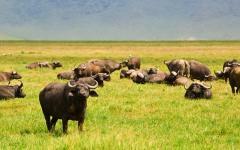 Lake Manyara can get you very close to these favorites. Turn a corner and a herd of elephants are standing on the trail. Move out of the trees and bushy haired buffalos block the path. A rare herd of Lesser kudu watches you pass, their horns pointing impressively skyward. After exploring this compact park you'll continue onto Arusha and spend the night at Outpost Lodge. 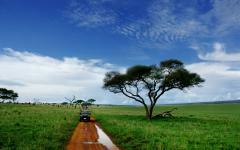 A great feature of this itinerary is the opportunity to fully experience the different sides of Tanzania. 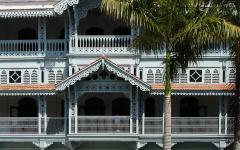 After the safari adventure come the charming serenity and cultural mystique of Zanzibar Island. Wandering down the narrow streets of Stone Town is a feast for the senses. Sounds float on the breeze; a harmonic call to prayer from a historic mosque, children singing in a local school, Hindu temple bells ringing softly. Each turn through this labyrinth brings new pleasures, from the regal wooden doorways of old merchants, to the smells of fresh seafood being barbecued on street stalls. An old man pushes a wooden cart of oranges, barefoot children enthusiastically run past, and a crumbling old cathedral appears from nowhere. Different cultures have been shaping Zanzibar for over a millennium, and this living UNESCO World Heritage Site is an ode to peace and harmony. The 236 Hurumzi hotel is centrally located, neatly tucked away on pedestrian filled streets and immersed in the charm of Stone Town. Step out of the hotel and lose yourself in your surroundings; ancient Persian baths, vivid Indian temples, elegant Portuguese churches, and the crumbling remains of a town that was once one of the richest in the world. 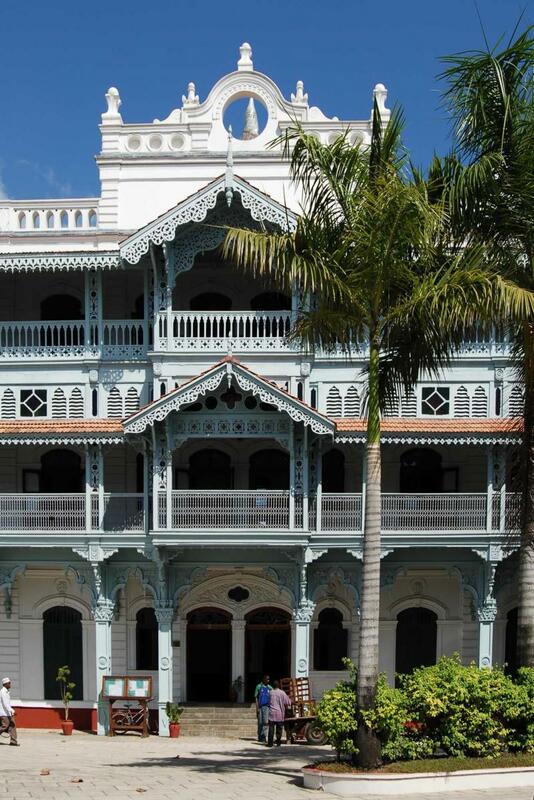 236 Hurumzi offers a slice of this history; its rooms are decorated in an elegant old-fashioned style and reflect the exotic mix of cultures in Zanzibar. Head to the balcony for glorious views over the rooftops, and then follow the outline of Stone Town until it reaches the Indian Ocean and a stunning coastline. It's easy to succumb to Zanzibar's charming atmosphere and to do little more than soak it all up. Optional tours continue the sensual immersion, taking you out into the fragrant spice plantations. 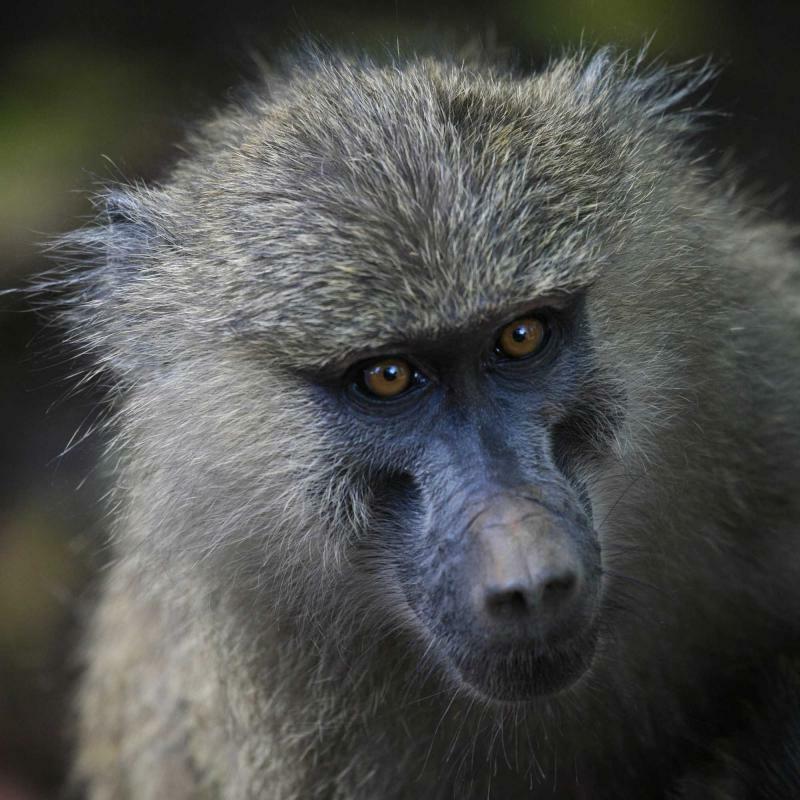 On day nine you'll be transferred to the airport in Arusha for your flight to Zanzibar. Then you've got three days to explore. Stone Town awaits your arrival, as does an idyllic loop of white sand. Zanzibar Island is surrounded by beach perfection; sand so fine it squeaks underfoot, ocean so blue it blurs with the sky, and a succession of palm trees completing the postcard image. 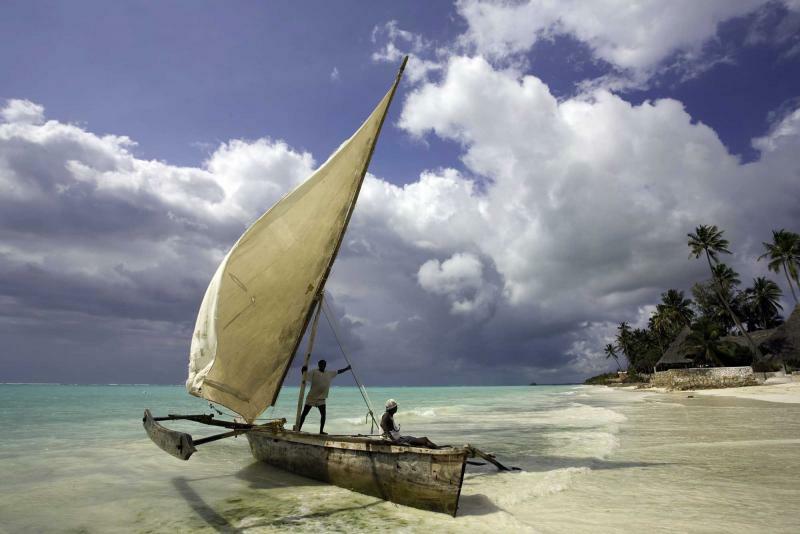 Getting around is easy, Zanzibar is only 25miles wide, and from your central base it's possible to explore beaches on all corners of the island. Some are secluded and pristine, others have delightful wooden shack bars, and almost all are blissfully quiet. Lull away the hours sunbathing and listening to the gentle waves, or dive beneath it all and explore the archipelago's dramatic marine world. Whether your day is lazy or energetic, the hotel's regal charm will be waiting every evening. After breakfast you'll be transferred to the Zanzibar Airport for the short flight to Nairobi and your connecting onward flight home.